The Sunrise Ventures team is an experienced and dynamic partnership of professionals that have been involved in building successful market leading companies. We believe the perspective, insight, and empathy for the entrepreneur acquired from that experience is one of the most valuable assets we contribute to our portfolio companies. 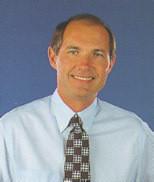 Prior to founding Sunrise Ventures, Jim was C.E.O. and Chairman of Trade Service Corporation, a privately owned information content and services company. Jim has extensive entrepreneurial experience having built a portfolio company from 5 million to over 50 million in revenue. He has negotiated and completed over 20 mergers and acquisitions varying in size from 1 to 90 million dollars. Jim spends most of his time working with Internet, e-commerce and next-generation software businesses. Jim is focused on valuable services and applications to streamline business processes and consumer purchases. 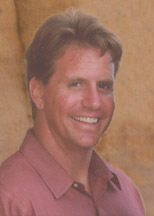 Jim received his Bachelors degree from the University of California at Santa Barbara and his MBA from the U.C.L.A. graduate school of business. Prior to his current role, Jason gained valuable experience in marketing and sales management roles in the food retailing, pharmaceutical and health industries. Jasons current focus is on Internet and software opportunities. He specializes in helping companies develop and use information technology to implement innovative business processes. Jason earned his Bachelors degree from San Diego State University and has earned his MBA from California State University. Copyright © 2000 - 2019. Sunrise Ventures, LLC. All rights reserved.